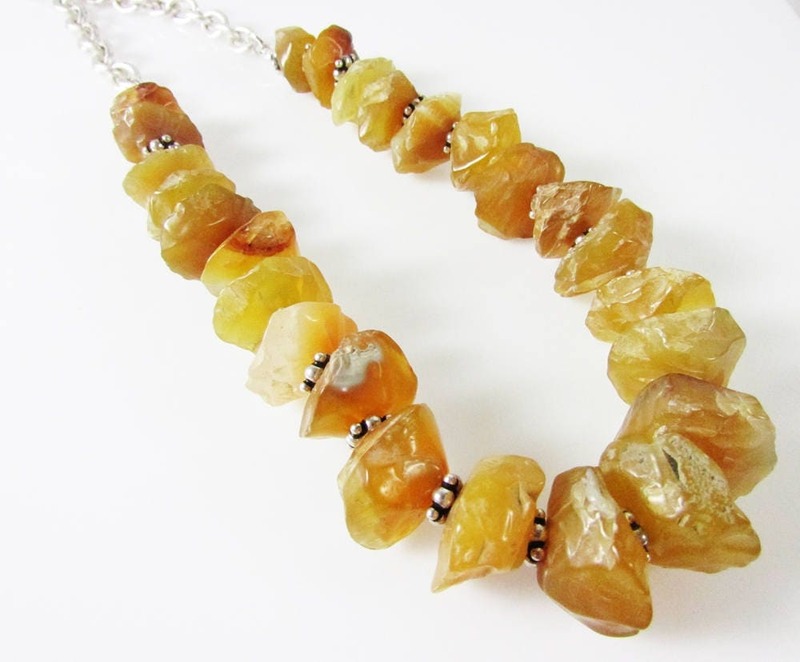 This stunning Chalcedony Necklace is created with hammered shaped chalcedony discs gemstones in hues of dark amber, lemon, deep lemon shades. I've added 8mm fancy sterling silver spacers and beautiful matte silver 8mm chain. Finished with a sterling clasp. 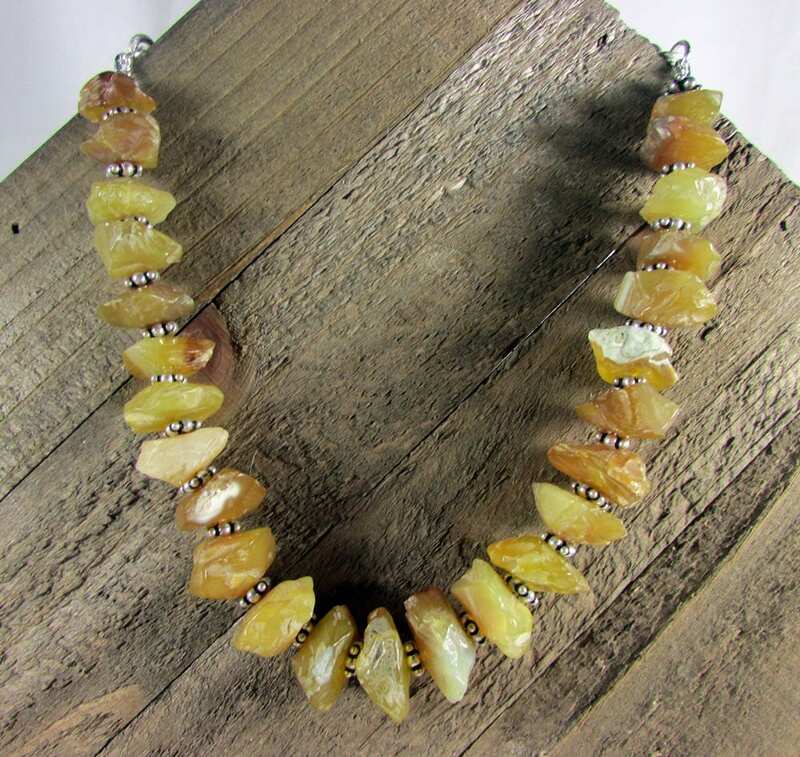 The hammered chalcedony discs range in size from 20x10mm about the size of a nickel down to 13x5mm or about the size of a dime. 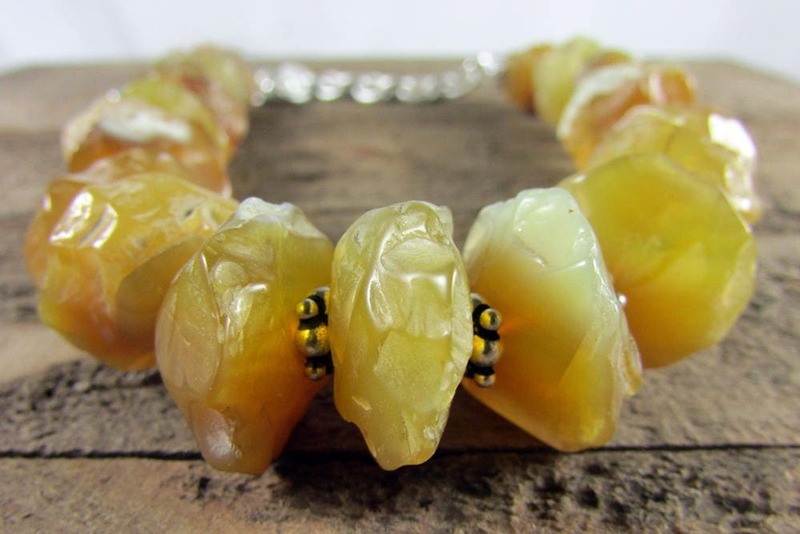 Chalcedony is a variety of the mineral quartz that occurs in in a great variety of colors including blue, lavender, white, buff, light tan, gray, yellow, pink, red or brown. 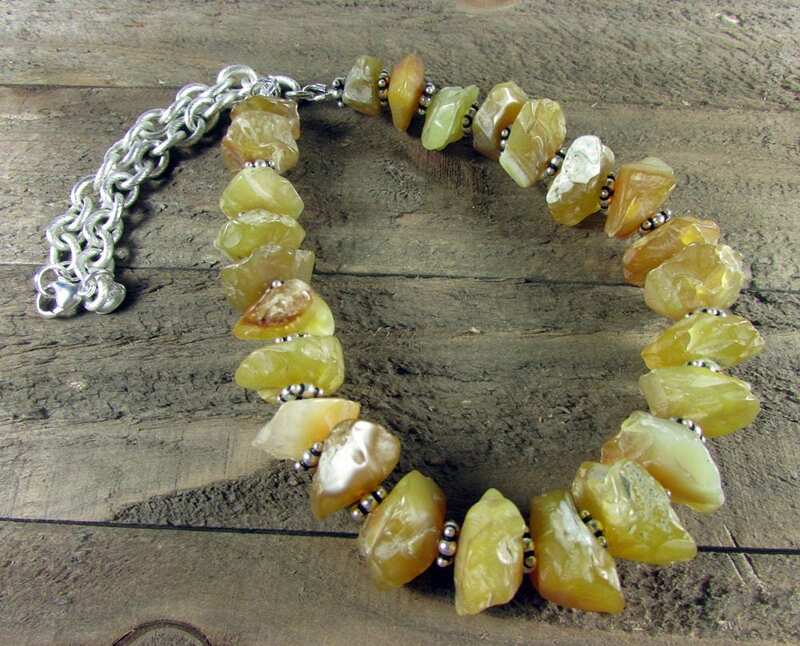 If chalcedony is conspicuously color-banded, it may be called agate and with other minerals it has various other names including carnelian, mocha stone, onyx, bloodstone to name a few. 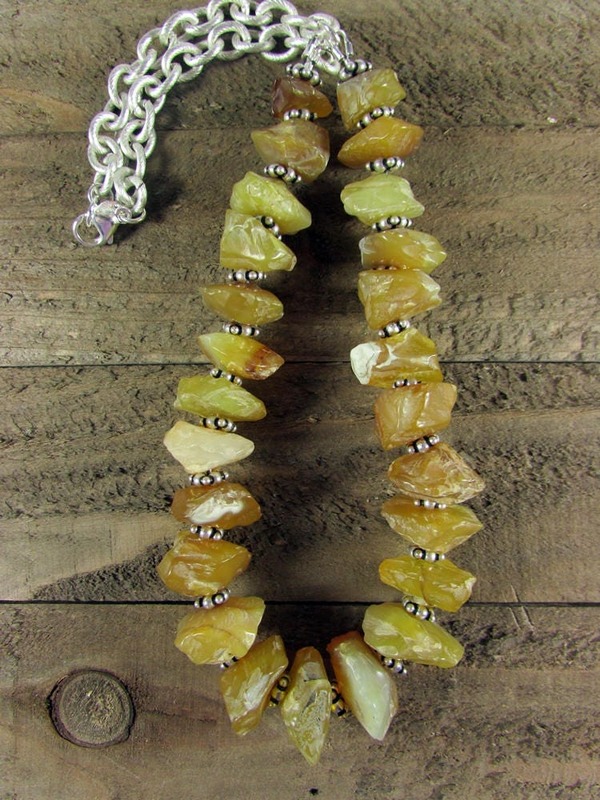 Considered a sacred stone by the Native American Indians, chalcedony nurtures and promotes brotherhood and goodwill.